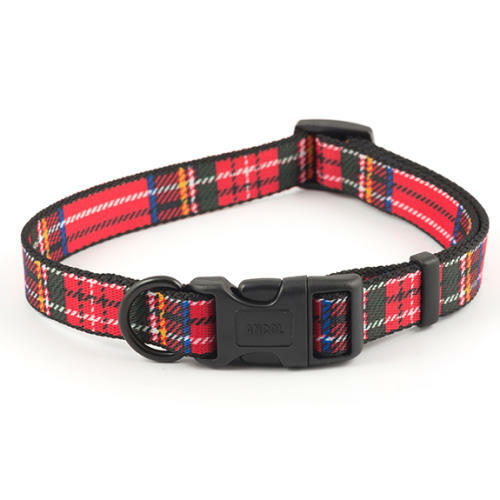 The Ancol Red Tartan Nylon Dog Collar is super soft polyester nylon strapping with a traditional tartan design that's perfect for giving your pooch that extra little bit of character! The collar features a quick release buckle for speedy removal and and is adjustable to ensure you get the perfect fit for your dog. What's more, the Ancol Red Tartan Nylon Dog Collar features a sturdy D-ring so it can easily be attached to leads when it's time for walkies. To ensure you get the best possible fit for your dog, please measure the circumference around the base of your dog's neck and refer to our guide below.